Chisara Adonai, M.D., has joined Troy Family Health Center in Troy, New York, a practice of St. Peter’s Health Partners Medical Associates. Board-certified in family medicine and general surgery, Dr. Adonai will practice family medicine and addiction medicine. Her professional interests include infectious diseases and preventative medicine. 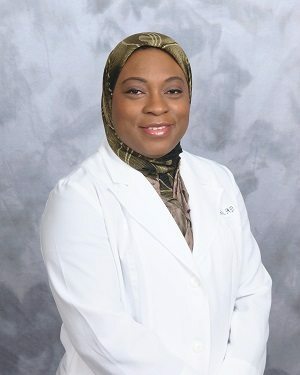 Dr. Adonai received her medical degree from the University of Kentucky. She completed her residency at New York Medical College at Saint Joseph’s Medical Center in Yonkers, New York. She previously practiced addiction medicine with St. Mary’s Healthcare in Amsterdam, New York, and was medical director of Behavioral Health Services at the Whitney M. Young, Jr. Health Center in Albany, New York. Dr. Adonai also practiced with the Center for Family Medicine in Troy, New York, and was an attending physician with the Albany County Department of Residential Health Care Facilities. Troy Family Health Center is accepting new patients at 79 Vandenburgh Ave. in Troy. For more information, or to schedule an appointment with Dr. Adonai, please call 518-271-0063.